The best of SunCatcher. The best of friends...the best of life. 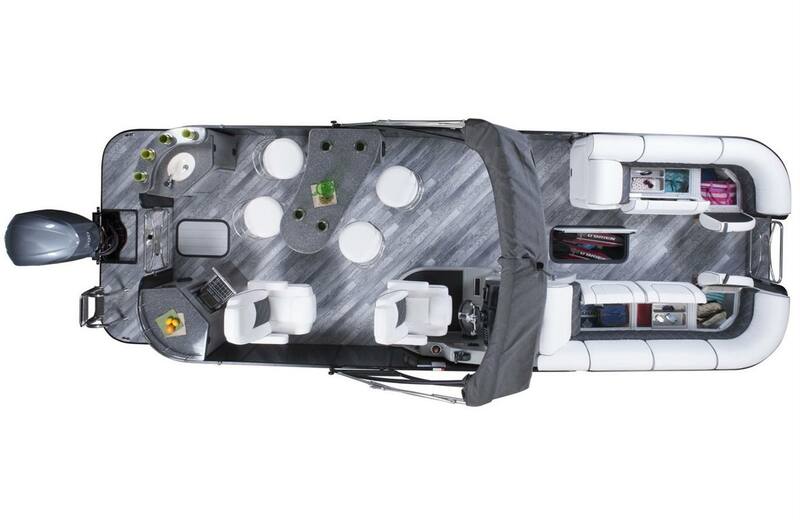 This new Diamond Elite Grand Touring (GT) model is truly worthy of the name Elite. 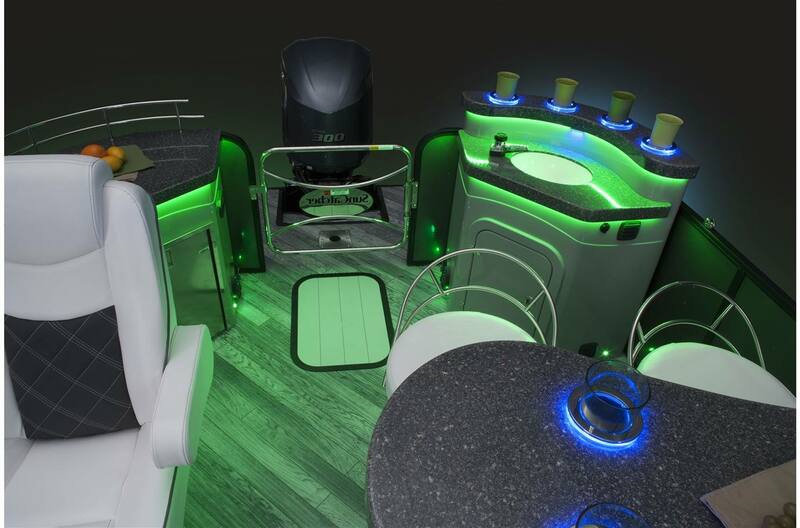 Luxury beyond your expectations with distinct entertainment areas set up for your complete on-water relaxation. 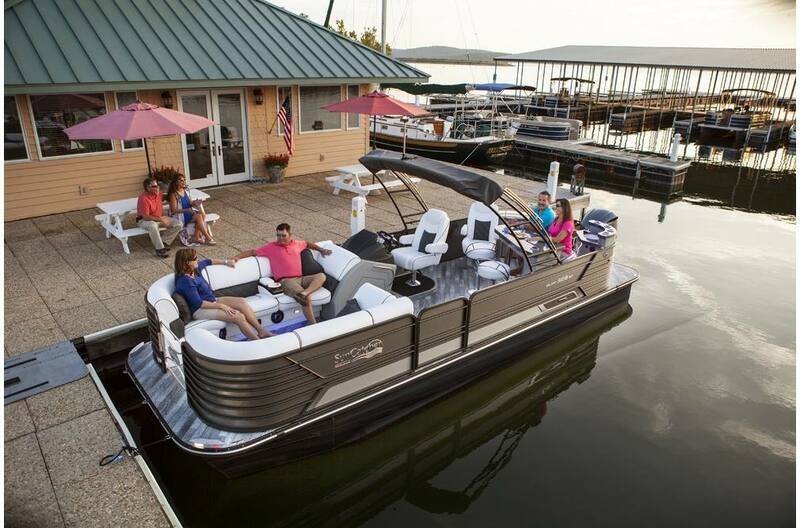 A performance platform designed to embrace and elevate your lake experience from sunrise to sunset and beyond. 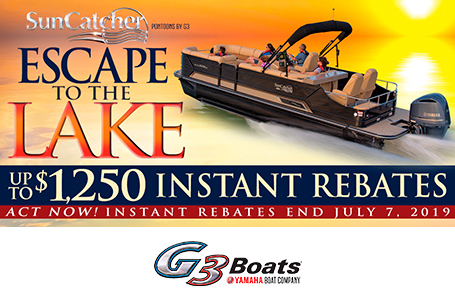 Relax and enjoy your SunCatcher Diamond Elite 326 GT; you've earned it. 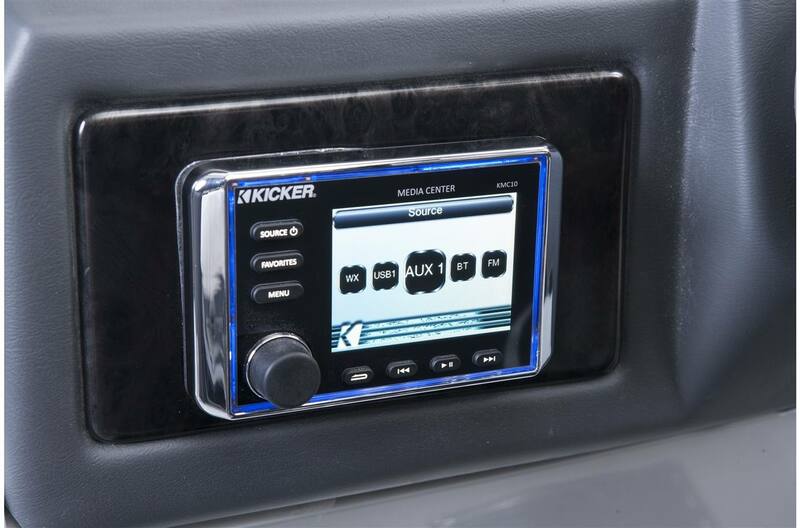 The Kicker® stereo features eight speakers, upgraded external remote, and powered subwoofer for supreme listening pleasure. RGB lighting, incorporated in the speakers, subwoofers and floor lighting, is adjustable to your favorite color from a Bluetooth enabled app on your smartphone. 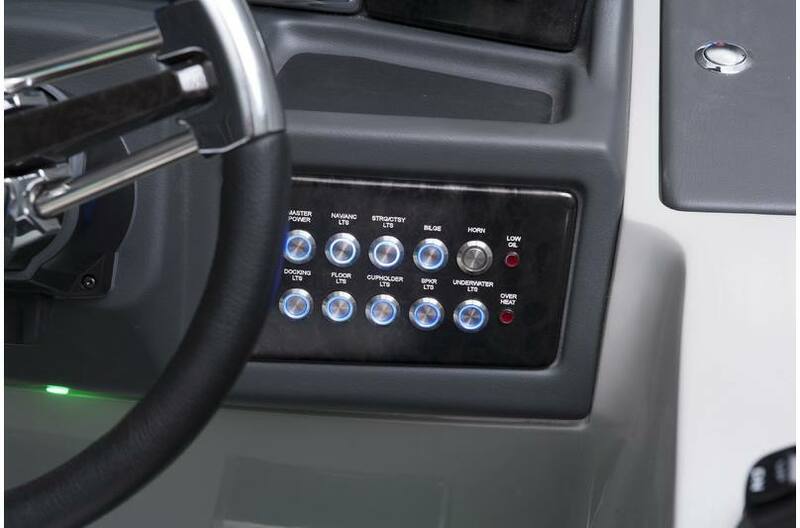 Even the switch panel reinforces the classy style of the command center, with blue back lit toggle switches. Premium amenity lighting includes L.E.D. 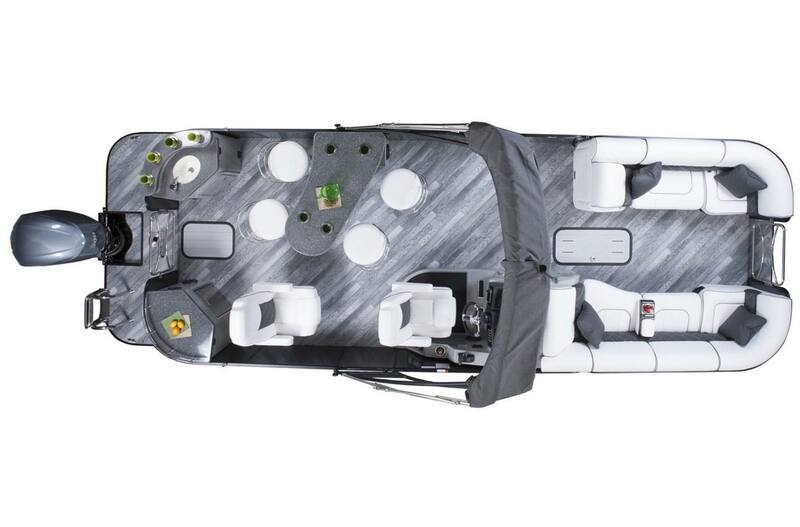 cup holders, stereo speakers, under-seat rope lighting, and even underdeck illumination to light up the night. Deck Length: 26 ft. 5 in. Dry Hull Weight: 3400 lb. Max Weight Cap: 2850 lb.